Under Armour’s HydraStrike Pro have had a pretty quiet summer after their explosive debut on the feet of Fulham’s Bobby Zamora. 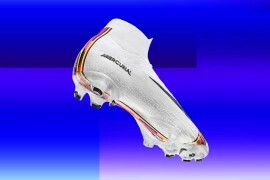 But now it looks like Under Armour have readied a new, patriotic colourway for the Women’s World Cup. 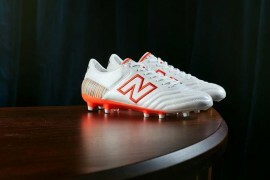 Seen here on the feet of Lauren Cheney, these audacious football boots really are a sight to behold on the pitch! Making their debut during the USWNT’s 2-0 defeat of North Korea, this bold new HydraStrike Pro colourway stole the show as Cheney opened the scoring to inspire her team after a notably uninspired first half. 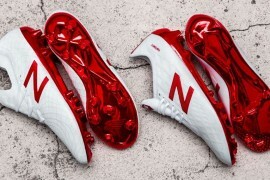 Key members of the US women’s squad described the road to Germany as ‘bumpy’ (the two-time Champions were among the last teams to qualify for the 2011 Women’s World Cup), so perhaps Under Armour looked to give the squad some national pride with these patriotic Red, White & Blue football boots! 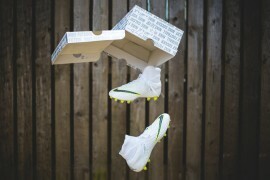 Lauren Cheney also has some interesting customisation on her HydraStrike Pro‘s, too. As well as her name on the instep, the pacey forward also has a huge number 5 printed on the heels – very unusual given she wears number 8 for her club side, the Boston Breakers, and number 12 in this summer’s tournament. Football boots spotting has been of a great standard in this year’s tournament, with many of the Women’s-only colourways on show. 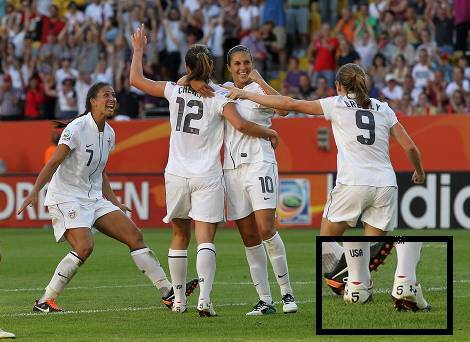 However, the USWNT haven’t really provided many surprises in this department – with the exception of Cheney – as this great picture shows the sheer dominance Nike have over Women’s soccer in the US! 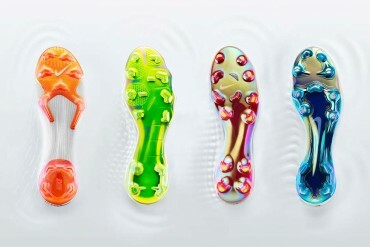 We’re awaiting news from Under Armour as to whether these are a new HydraStrike Pro colourway or a one-off customisation for the Women’s World Cup. 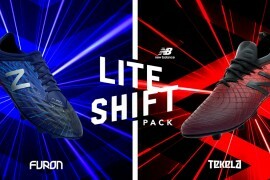 Either way, there’s no doubt these are a boldly-designed pair of football boots worth sharing with you! what’s the deal with those ctrs in bottom pic?! The white/sky blue/silver is a womens courway.